There is a reason why Seattle is known as the Emerald City. 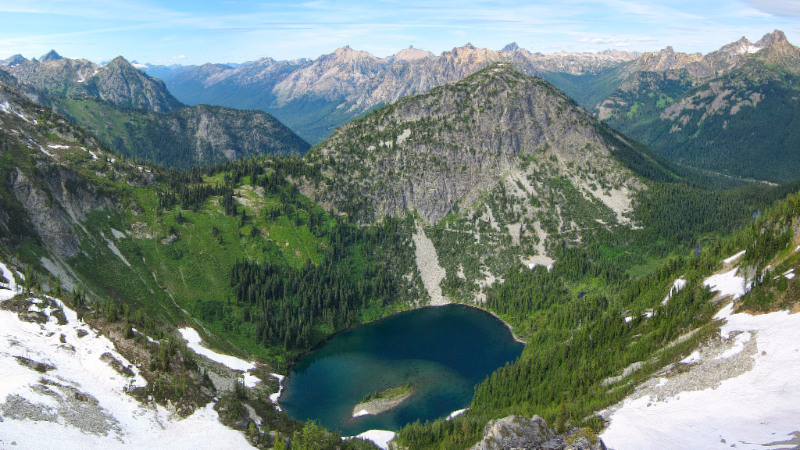 The lush green forests, lakes, mountains, and other natural wonders that surround the Pacific Northwest’s most populous metropolitan area make Seattle the perfect place for outdoor enthusiasts. If you are someone who likes to stay active while traveling, these are our recommendations for outdoor activities in and around Seattle. Seattle is one of the most bike-friendly cities in the United States. The city government has made great efforts to improve safety and conditions for bicyclists. Plan your own route using the city’s interactive bike map, or go on a cycling tour with one of many local tour guides. An extensive network of bike trails also connects the city’s urban center to its surrounding wilderness, offering a great variety of outdoor experiences. 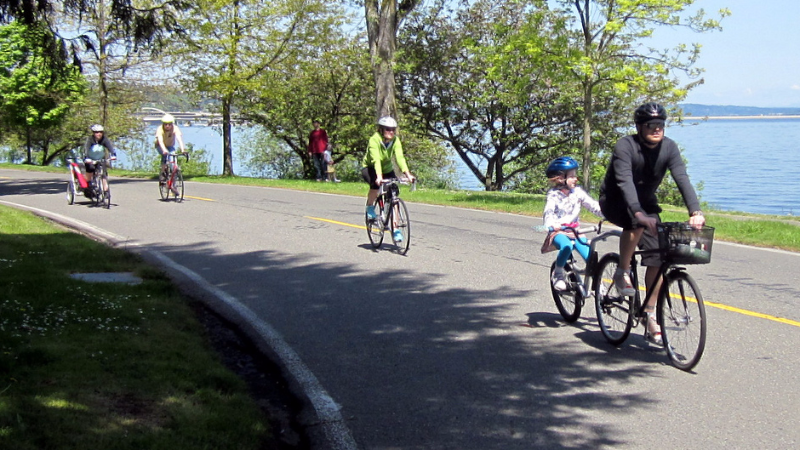 The Burke Gilman Trail stretches through 21 miles of lakes, greenways, and historic sites. The Samammish Trail picks up where Burke Gilman leaves off, taking riders through towns, hidden wineries, breweries, Euro-American bakeries, and restaurants. In addition to being a coastal city, Seattle boasts a significant variety of natural water features like lakes, rivers, canals, bays, and inlets, all within city limits. Go kayaking or canoeing in the city with affordable local rental offers and take in the views. Budget travelers can go to Lake Union for free boat rides every Sunday on a first-come-first-served basis at the South Lake Union dock, beginning at 10:00am. Visitors can take a water taxi from the city waterfront to popular Alki Beach, where outdoor activities like beach volleyball, paddle boarding, canoeing, kayaking, biking, inline skating, or just relaxing on the sand await. Officially founded in 1869, Seattle has a long and dynamic history that goes back over 4,000 years to indigenous Native American tribes. To experience the city’s rich history, several walking tours offer different tastes and experiences of Seattle that will fit any traveler’s interests. The Seattle Free Walking Tours are organized and guided by Seattle natives, and take visitors to the world famous Pike’s Place Market, the modern downtown area and waterfront, Olde Town Seattle, and even on a unique crime tour that explores the city’s most notorious criminals by tracing their footsteps. Seattle’s oceanic climate means the city is cool and wet most of the year, so any outdoor activity will require appropriate attire! Hiking through the region’s stunning wilderness is a must when visiting the city. From the Cascade range, to the coastal rainforests of the Olympic Peninsula, to Mt. Ranier, the options for hikers are endless. 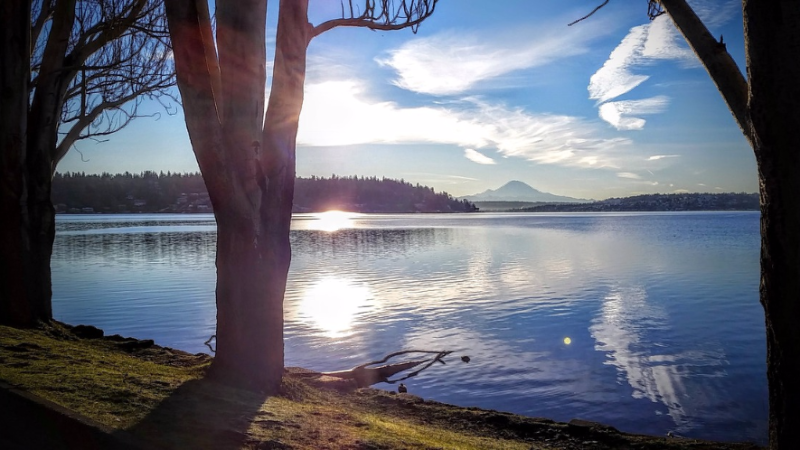 For those who want a taste of nature without leaving the big city, Seattle offers several large parks with extensive trails and wildlife right in the middle of the city. Discovery Park offers 534 acres of meadows and forests, with 11 miles of hiking trails. Seward Park features 300 acres of wildlife on the edge of Lake Washington. Outside the city, Cascadia stretches for hundreds and hundreds of miles, making Seattle the best base camp for exploring everything the region has to offer.